What makes men and women commit murder? Is it environment and upbringing? Or is it some characteristic unaffected by surroundings and contacts? In this triptych, the author has sought to answer these questions by an analysis of the lives of three notorious poisoners, each guilty of more than one murder, and living in different periods of time. 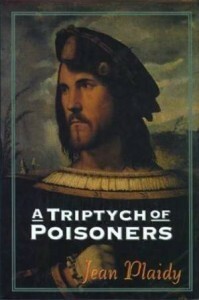 First is Cesare Borgia, most notorious of all poisoners, who among his many crimes was suspected of the murder of his brother, and was the self-confessed murderer of his brother-in-law. Sadistic and sinister, even for fifteenth-century Italy, his brief life was one of the most evil ever lived. Was he to blame for his sins? Or does the blame lie with an indulgent parent and a barbaric age? 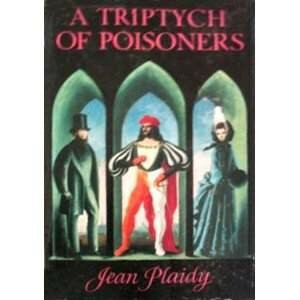 Second is Marie d’Aubray, Marquise de Brinvilliers—beautiful, reckless poisoner of seventeenth-century Paris. Marie and her lover Sainte-Croix sought to discover the lost secrets of the Borgias, that she might remove those who stood between her and her family fortune. Visiting the Paris hospital as a Sister of Mercy, experimentally trying out her concoctions on the patients, Marie was indifferent to the sufferings of others. Who was to blame? Last comes Edward Pritchard, the Glasgow doctor. Living mid-way through the Victorian era, the doctor was as knowledgeable in the art of poisoning as his predecessors and had no compunction in, removing any who stood in his way. 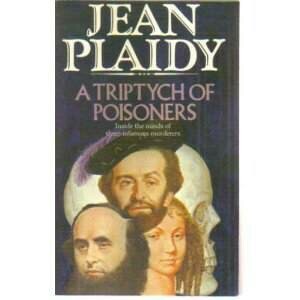 In these studies Jean Plaidy discloses the similarity in all three and asks: Whose is the guilt? For F. J. Olive, at whose suggestion this book has been written.